Sites in the HTML only are attacked by this robot too. Why I think that it is robot? Be cause of it is have not any sense to put WordPress exploit code into HTML only site which doesn’t know anything about WordPress permalinks. So it is a robot and not much sophisticated one. 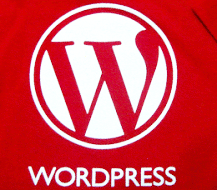 Stand-alone WordPress bloggers has strong recommendation from WordPress developers upgrade ASAP to the last 2.8.4 WordPress version to be more secure against atack similar the last one. What can do the others HTML only site owners? Robot puts index.php file to their site root directory and thus blocks site work as index.php have priority in execution in relation to the index.html. article and use settings which more convenient for you. If your host doesn’t allow to use .htaccess you can place index.php with redirection to the index.html into your site root directory and empty index.php into all its sub-directories, and set up read only permisions to that files – something like 444. As a result maliciouse FTP visitor could not rewrite those files and make a damage to your site using it. How to know if your site attacked by this robot? we can use eval(base64_decode( as search key for this robot discovering. Just upload it to your site root and call from the browser. This entry was posted on Tuesday, September 8th, 2009 at 11:31	and is filed under General, PHP, Security, WordPress. You can follow any responses to this entry through the RSS 2.0 feed. You can skip to the end and leave a response. Pinging is currently not allowed.